Sri Lanka to learn at the university? Valiyasala in Thiruvananthapuram is cloaked in history, it is where an educational centre of repute existed-the 'Kanthalloor Sala'. It was while handling a general knowledge session in his school that Kishore Kallara came across a question that spiked his interest. “The question concerned about the 'Nalanda' of Southern Kerala and the answer was the Kanthallooor Sala. That had me hooked,” he recalls. That was in 2016 and ever since he has been persistently seeking out every avenue to learn more about the Kanthalloor Sala. And now he beams, handing out a copy of a documentary he has crafted. 'Ennittum Kanthalloor', a documentary on the age-old university at Valiyasala, gives a peek into the rich cultural and educational past of ours. Kanthalloor Sala is believed to have existed between the 9th and 12th centuries. It finally got destroyed following regular Chola attacks. 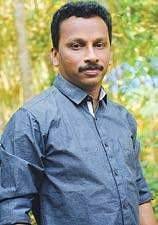 The documentary directed and produced by Kishore, who works as a teacher at the Government Lower Primary School, Kanjirampara, Vamanapuram, dwells on the ancient university and chronicles its vibrant history. The documentary has renowned historians narrating the history and functioning of the university. Noted historian M G Sasibhooshan, former Additional Chief Secretary D Babu Paul, Centre for Heritage Studies Director General T P Sankarankutty Nair, University College HOD N Gopakumaran Nair, Professor and researcher Sreejith E narrates tales of the Kanthalloor Sala in the documentary. The premises of the Valiyasala Siva Temple in the city is steeped in history. The Kanthalloor Sala is located here, either inside the temple or on the premises adjoining it, the historians will tell you. “The Siva Temple in Valiyasala is known in the official records as 'Kanthalloor Siva Temple'. 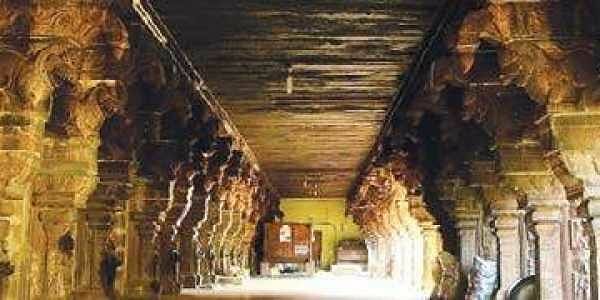 So it is believed that the Kanthalloor Sala might have situated inside the Valiyasala Temple or in the premises adjoining it,” says historian M G Sasibhooshan in the documentary. Exploring the history of the educational centre, D Babu Paul says that Kanthalloor Sala was unique with atheism also being taught there. “The Charvaka religion, which was a taboo in Nalanda, was taught here,” he says in the documentary. Several lesser known facts are discussed in the documentary on how the students were given training in weaponry and that a strict educational and disciplinary code was enforced in the campus. Corporal punishments were banned and anyone involved in that would be fined. Even disciples involved in brawls would be fined. The voice over has been done by actor Nedumudi Venu and Aliyar. Editing is by Shibu P L while the camera has been wielded by Abhilash Kallara and Ramesh Kakkoor. “This is our history and we have to initiate measures to preserve it. Most people are unaware that we have such a rich and astounding educational history. We have to document this as it is a landmark episode in our history and we have to keep alive the legacy,” says Kishore. Kishore is on a tryst to unravel and know more about the ancient university of ours. He hopes that the documentary could be used as a study material and is presently screening the documentary in colleges and schools. “Our educational history is unparalleled. It could be one of the reasons for our excellence in education in the present day,” he says. “It all lies in the past,” he adds.